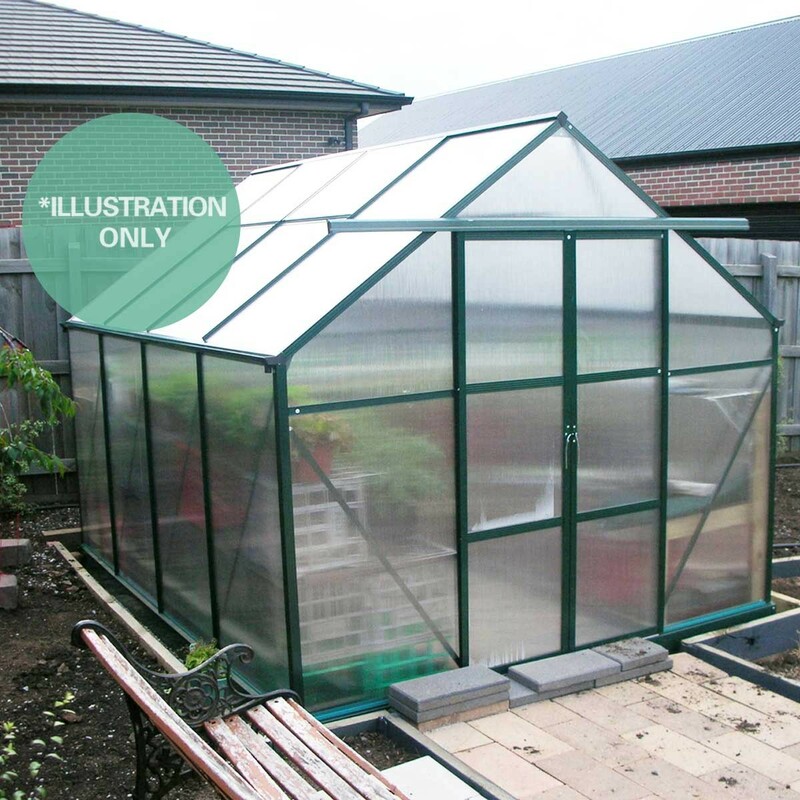 15 Years Frame Warranty. 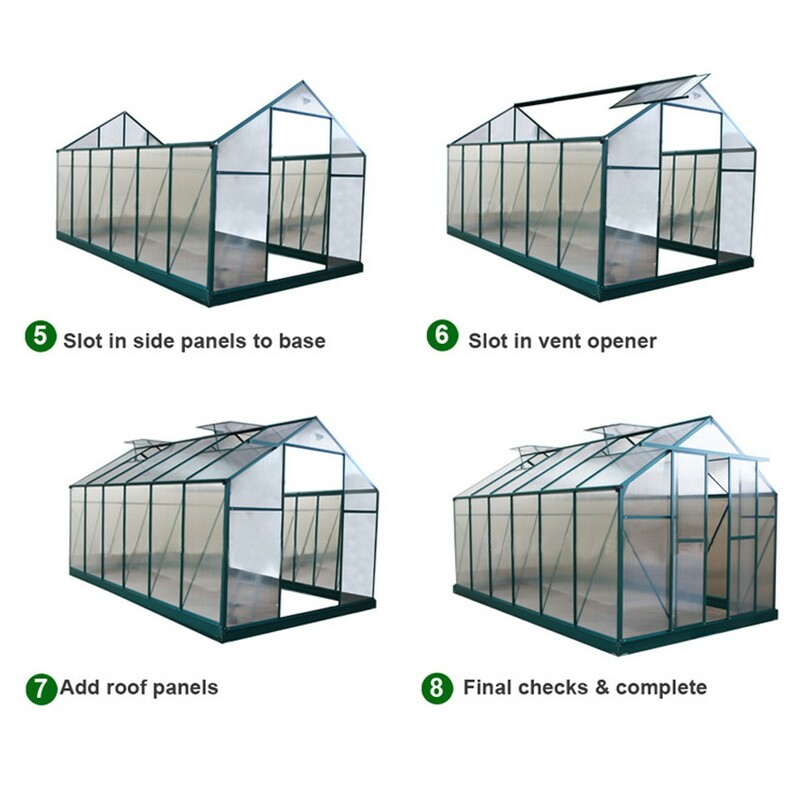 2 Years Panel Warranty. 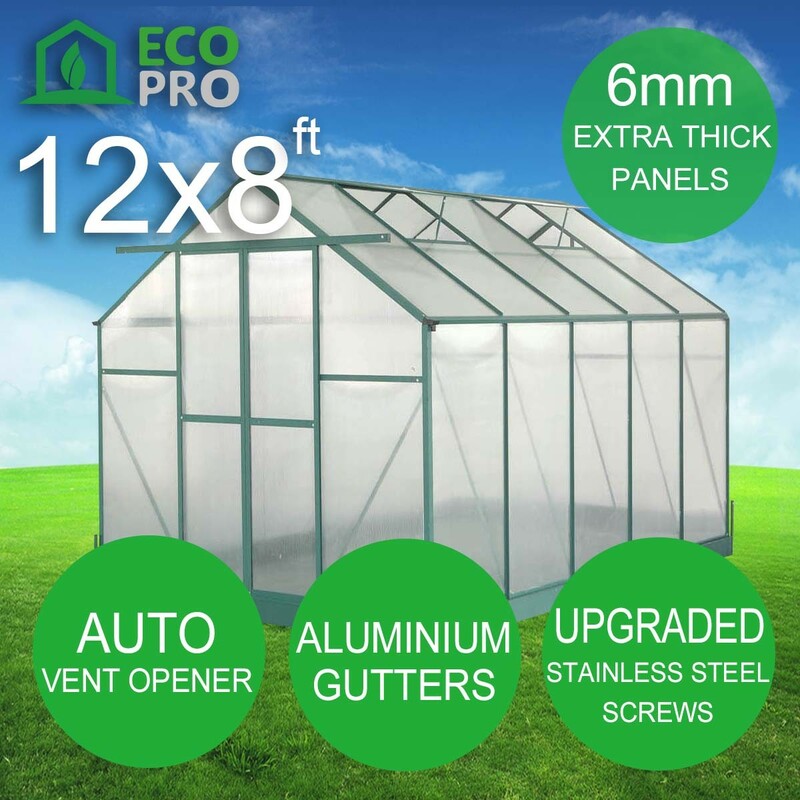 Our EcoPro Greenhouses are a great investment irrelevant of its size and shape, it will provide year long pleasures of gardening the vegetables, flowers and plants of choice that you can use and enjoy as you like. 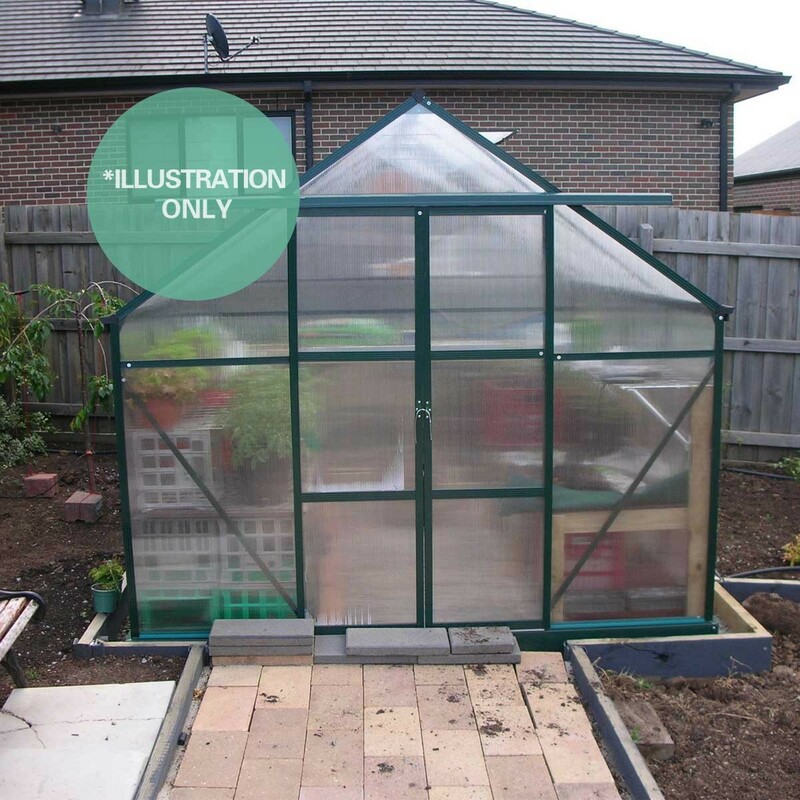 Moreover, Gardening is also a wonderful hobby that not only relaxes the senses of those that practice it but also gives back to the nature and environment, cleaner, fresher air. 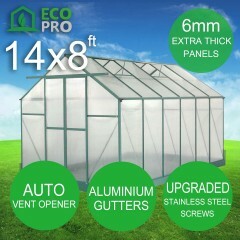 Order our EcoPro greenhouse today and make a difference! 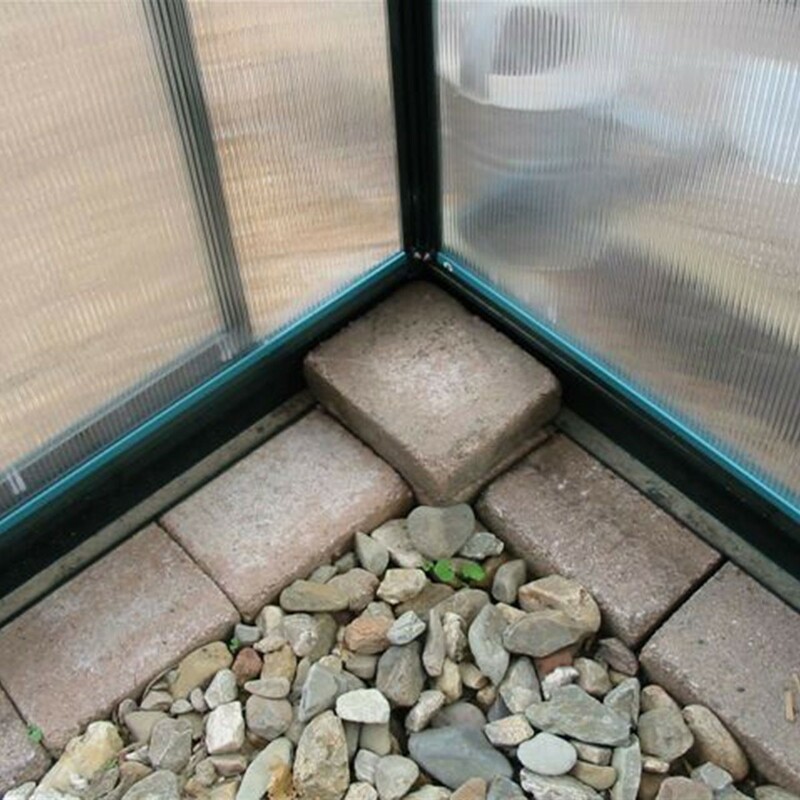 Strong and durable and upto 200 times stronger than glass! 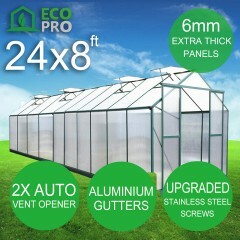 Our EcoPro Greenhouses are designed with groove channeled frames. 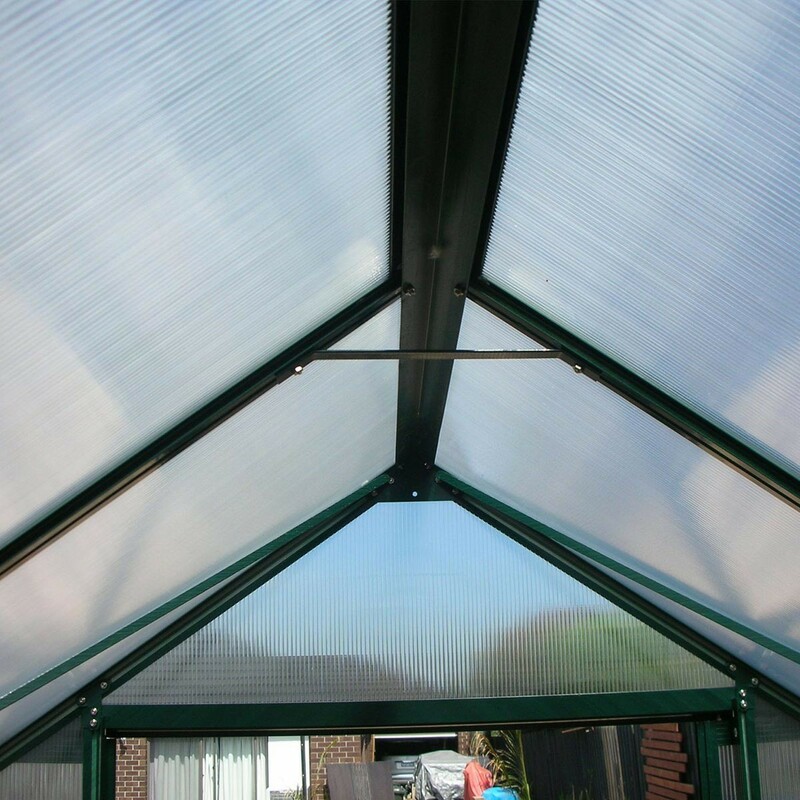 The polycarbonate panels slots easily for extra strength and stability against wind and wear. 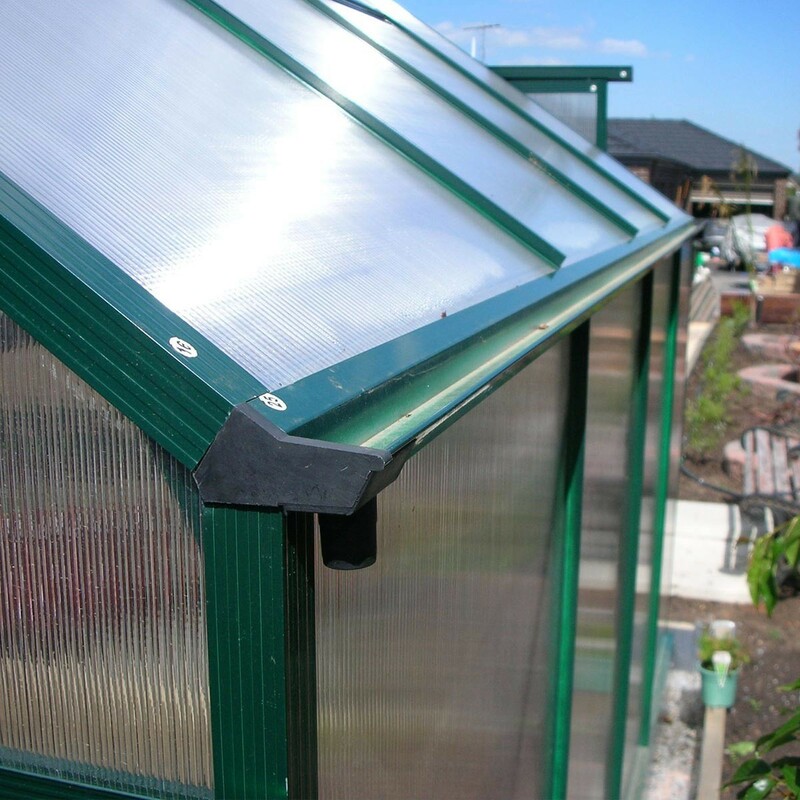 The panels are held firmly in place at the bottom with fitted strips. 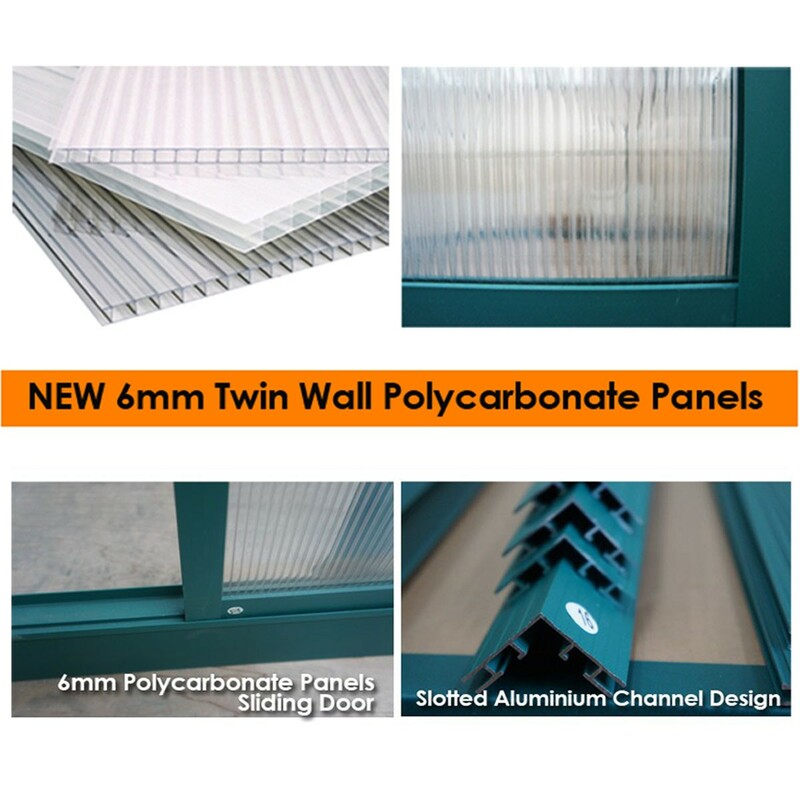 You will save time, improve draft insulation and reduce panel rattle. 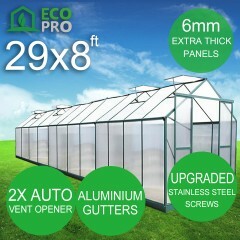 Our EcoPro Greenhouse are fully braced with 90 degree angled aluminium panels of the side wall. 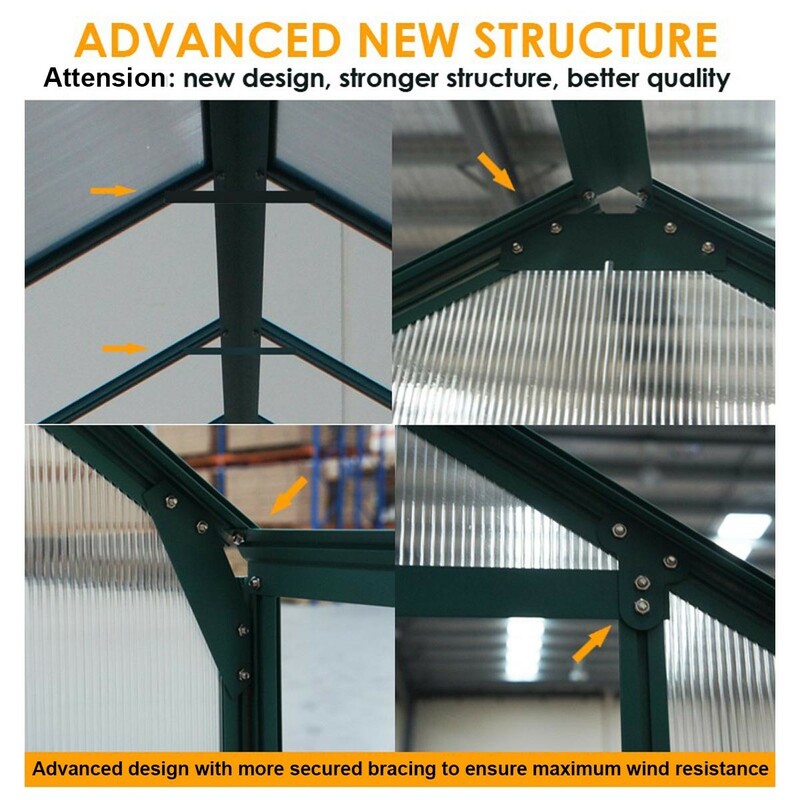 These are stronger than flat bracing that give the greenhouse a more solid structure and reinforcement against wind and weather. 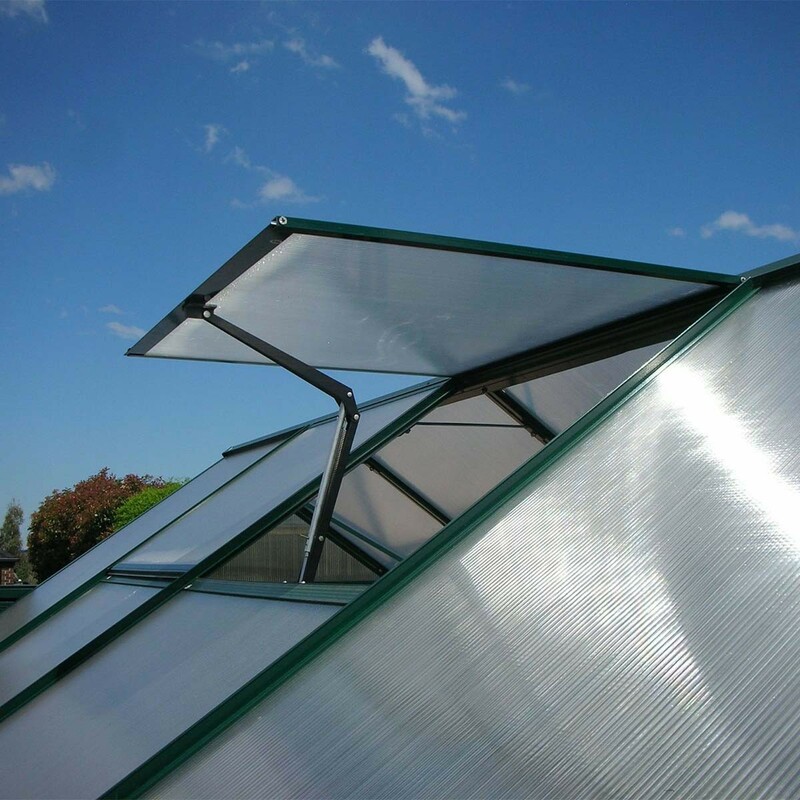 Together with side wall bracing, roof bracing of the ProGreen Aluminium Greenhouse will fully provide an additional strength to the roof. 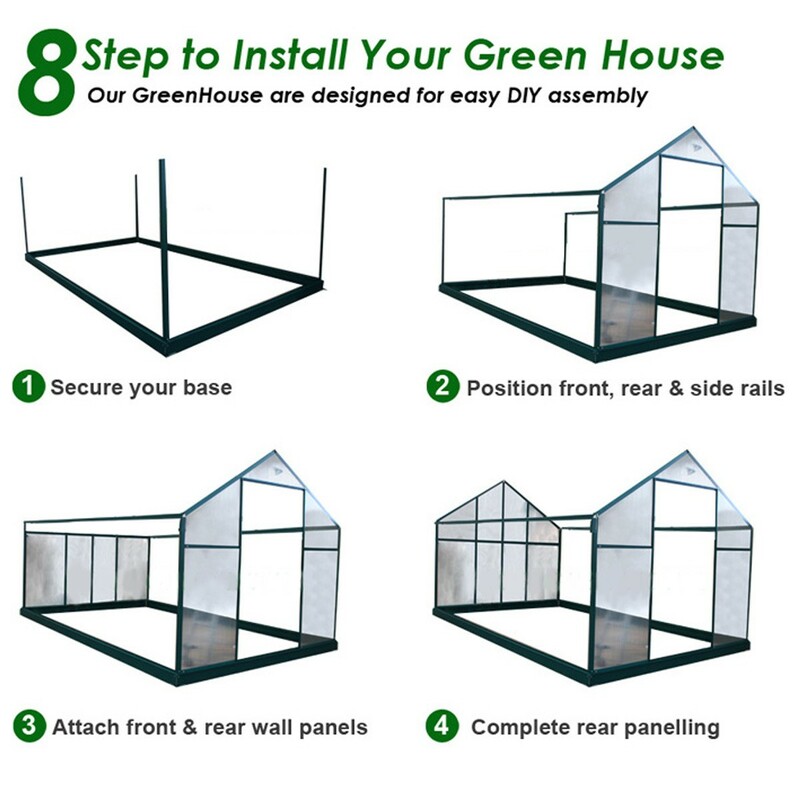 This prevents sagging which normally occurs after a few years of lesser greenhouses which comprises the structure. 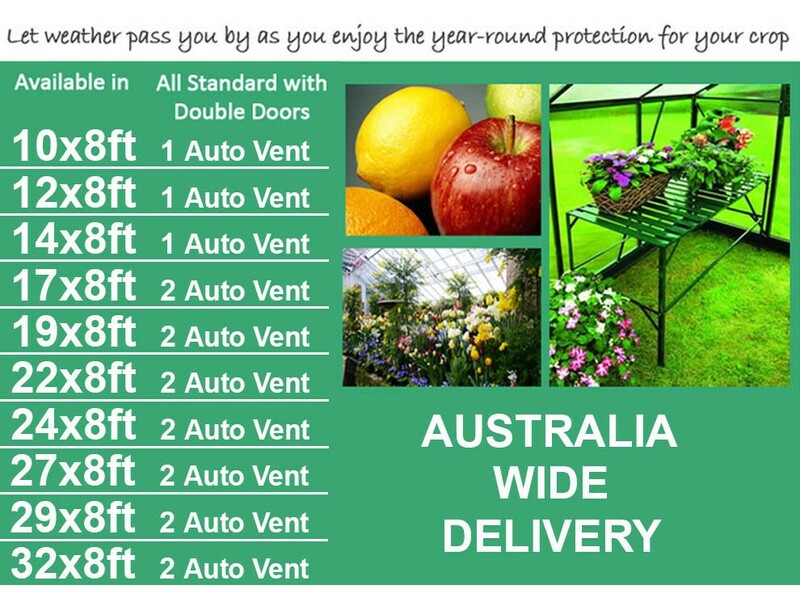 It’ll be hassle free, as your plants would be fully protected year round, every year. 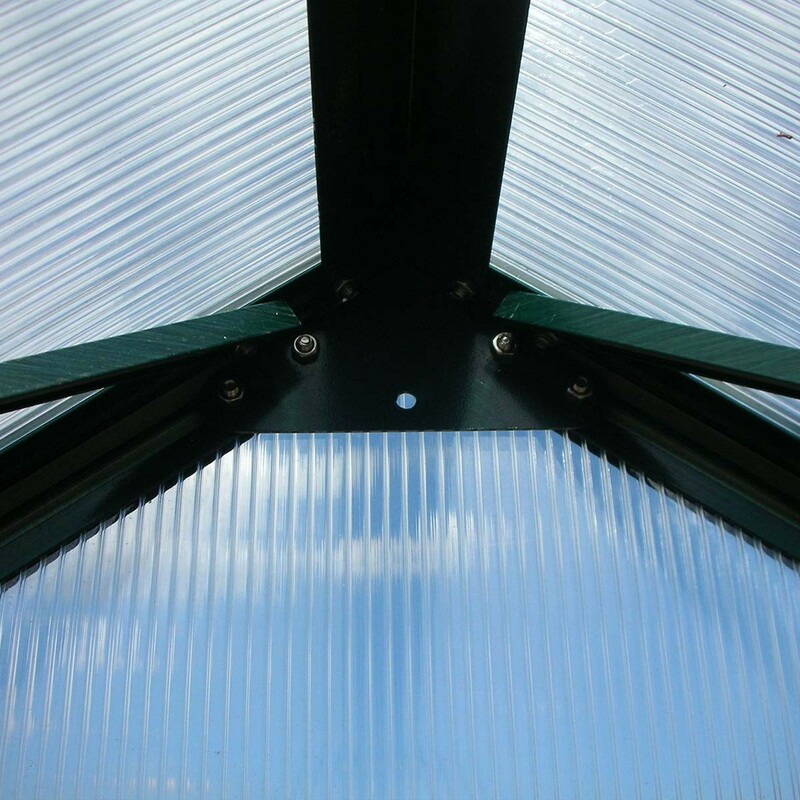 Our steel base is manufactured in solid lengths. 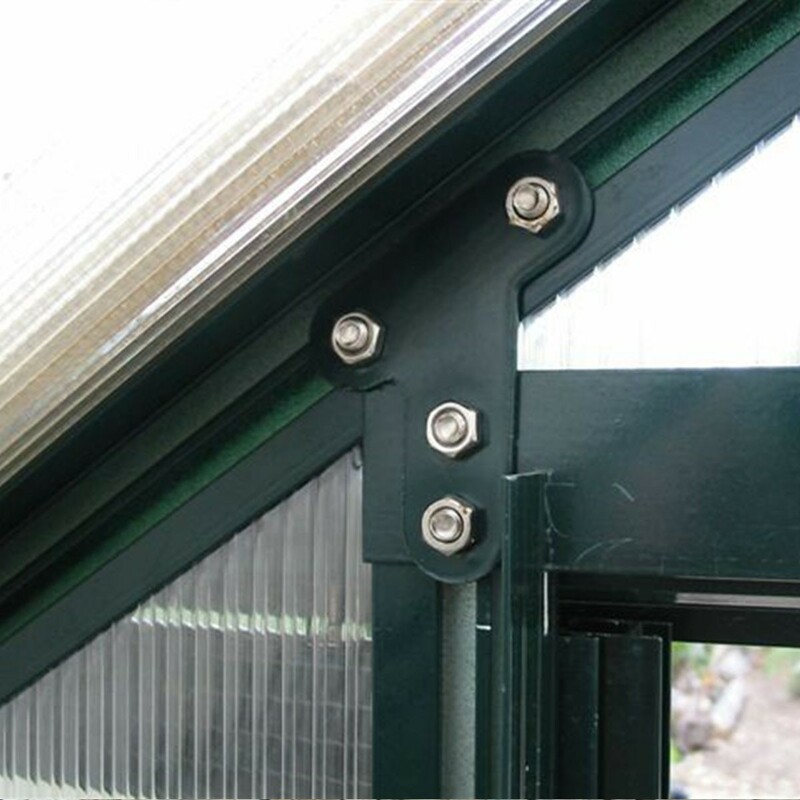 Less pegs, less bolts = less points of failure, less sagging, less time spent building and maintaining the greenhouse. More time to enjoy and concentrate on what's on the inside! 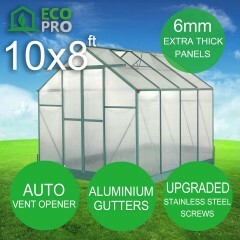 **We can also have greenhouse choices bigger than 32x8ft, please kindly contact us and inquire.